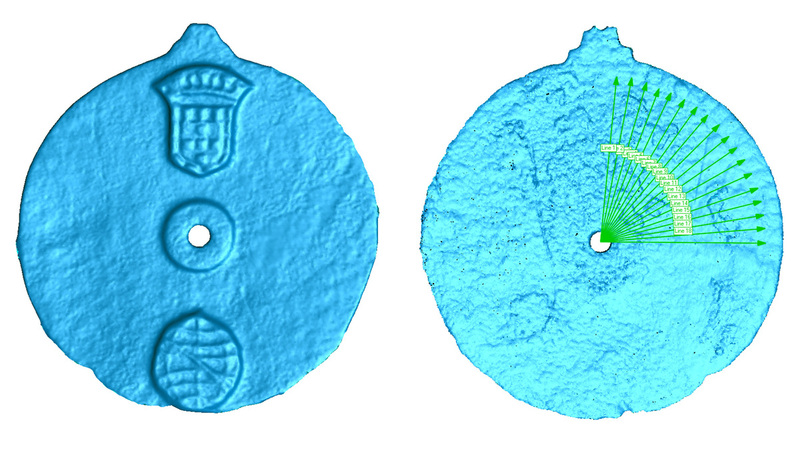 Left By Explorer's Armada, Shipwreck Yields 'Earliest Known' Marine Astrolabe : The Two-Way Sunk off Oman, the ship once sailed in the fleet of Vasco da Gama, who found a sea route from Europe to India. Now, researchers say an artifact found on board is a 500-year-old navigation tool. A portrait of Vasco da Gama, the Portuguese explorer who was the first known Westerner to sail directly from Europe to India. 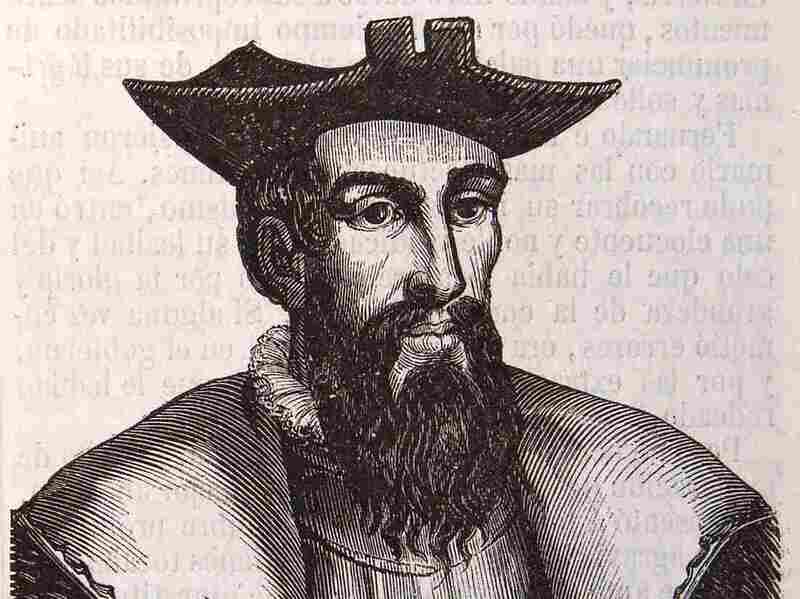 By early 1503, most of Vasco da Gama's armada was returning home to Portugal after his second voyage to the Indian coast. The explorer, now roughly five years removed from discovering a direct sea route from Europe to India, left behind several ships to patrol (and pillage) the waters near modern-day Oman — but the winds eventually rose and smashed several of the remaining ships in raging storms. Now, more than 500 years later, the sunken ruins of one of those ships have yielded a surprising discovery: the world's "earliest known" marine astrolabe, according to researchers at the University of Warwick. They say the navigation tool, which sailors would use to reckon time by gauging the position of the sun and stars, dates to between 1495 and 1500. The instrument was one of more than 2,800 artifacts recovered from the Esmeralda, which has been under excavation since 2013. When Blue Water Recoveries first pulled it from the depths in 2014, David Mearns, the group's expedition leader, said he and his team suspected the 7-inch bronze disc could be an astrolabe. "It was like nothing else we had seen and I immediately knew it was something very important because you could see it had these two emblems on it," he told the BBC. "One I recognised immediately as a Portuguese coat of arms... and another which we later discovered was the personal emblem of Don Manuel I, the King of Portugal at the time." But the centuries-old instrument no longer betrayed any discernible navigational markings. Mearns and his colleagues needed some help to find them. Enter Mark Williams, a professor at Warwick who used "pioneering analysis and 3D imaging" to reveal hidden "etches around the edge of the object, each separated by five degrees." These markings would help sailors of the day judge a celestial body's position with relation to the equator and their own position on the water — and, for researchers of today, they confirmed the identity of the mystery artifact. A scans of the astrolabe reveal not only the emblems on its face (left) but also the degree markings (right) that would have aided sailors in navigation. "It was fantastic to apply our 3D scanning technology to such an exciting project and help with the identification of such a rare and fascinating item," Williams said in a statement. "Usually we are working on engineering-related challenges, so to be able to take our expertise and transfer that to something totally different and so historically significant was a really interesting opportunity." For Mearns, the confirmation marked an important milestone for a project that dates back nearly two decades. The shipwreck Esmeralda was discovered off the coast of Oman in 1998, and Blue Water Recoveries has been collaborating with the country's Ministry of Heritage and Culture on its excavation for roughly four years. And though it's believed astrolabes were in use long before the end of the 15th century, the BBC reports this one is only the 108th confirmed and cataloged — and the oldest one "by several decades." "It's a great privilege to find something so rare, something so historically important," Mearns said, "something that will be studied by the archaeological community and fills in a gap."